Alsino is a ten-year-old living with his grandmother in abject poverty somewhere in the interior of Nicaragua, near to the rebel strongholds occupying the mountains. The Condor is a helicopter, piloted by American military 'consultant' Frank (Dean Stockwell) in charge of exterminating communist guerillas. Alsino and Frank meet when the military establishes a staging area near Alsino's village. The boy is a relatively typical child, but he dreams of flying and talks abstractly of his ambitions with his first girlfriend. When Frank takes Alsino on a helicopter ride, the American imagines Alsino will be awed and grateful, but little understands that his advice, to study hard and come to America, is not only condescending, but completely impossible. Soon after, Alsino, unsatisfied with mechanical flight, tries to launch into the sky from a tree. He injures himself and becomes a hunchback for life. 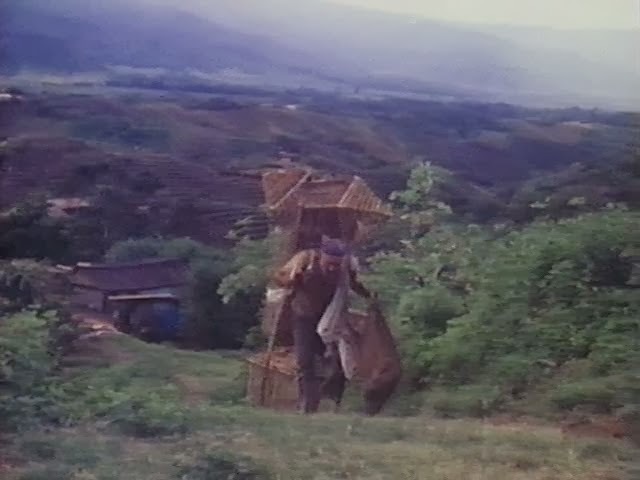 He leaves home and learns to survive in the wild, eventually taking up with an itinerant bird salesman, who cares for him but only pays a pittance. Alsino moves on after learning that the man dislocates the wings of his birds to keep them from flying away. He later meets the rebels, who offer him his first real sense of family, home and identity. Meanwhile Frank has become increasingly angry, drunk and frustrated by his failure to make either tactical or ideological inroads, and green-lights saturation bombing despite acknowledging the heavy civilian toll. A friendly fire incident leads to a catastrophic loss of life and the rebels, with Alsino astride the shoulders of a fellow freedom fighter (perhaps really flying now for the first time), enter the village victoriously. 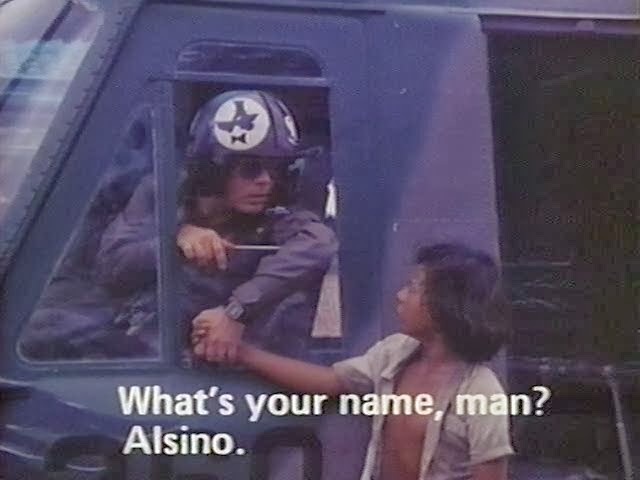 Nicaragua doesn't really have a film industry and Alsino and the Condor suffers from technical, logistical and budgetary constraints (awkward cuts have to disguise unfeasible scenes like an important helicopter crash and leave the story a bit piecemeal at times), but it doesn't have a shortage of ambition. 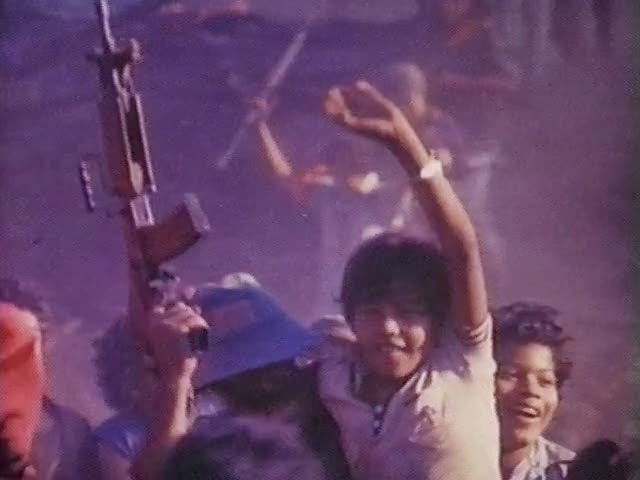 Director Miguel Littin (a Chilean best known for his debut feature The Jackal of Nahueltoro) isn't shy about his politics, which are certain to rub many the wrong way (he explicitly condemns American interference, highlighting their atrocities without mentioning those committed on the other side), but he's making a valid case for Nicaragua's right to self-determination. The film's characterization of Frank, who gets several major scenes even at the expense of Alsino's story arc, actually shows a degree of unexpected compassion: Franks cares about the country, democracy, the need for education, etc. He wants to make a difference and is disgusted by his fellow career soldiers, some of whom are little better than mercenaries. Like Alsino he is ultimately a mere pawn in the hands of larger political forces, but unlike Alsino (who consciously rejects victimhood by instinctually refusing to be exploited, even if independence sinks him into further poverty), Frank faithfully plays his part in the game of nations with fatal results. Sadly, American actor Dean Stockwell being top-billed is exactly like the type of cultural imperialism that Littin would rage against, but perhaps it's a reflection of Alsino's somewhat shaky position as a central character, occasionally overwhelmed by his allegorical double duty as a stand-in for Nicaragua's political awakening. That said, I actually like the motif of flight (the disappointment of the mechanical helicopter, the failed leap from the tree, the clipped feathers of the bird man, etc.) as a multifaceted metaphor for aspiring towards freedom despite ceaseless resistance. These themes transcend the film's borderline belabored politics and give the film its much-needed emotional drive.